A World Map of Solargraphs. 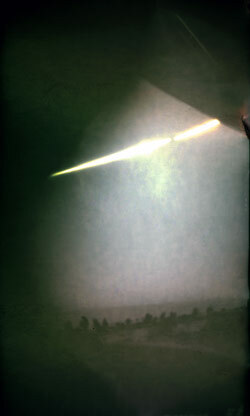 The Global Art Project of Pinhole Solargraphy is a part of my PhD. studies at the University of Art and Design in Helsinki, Finland. 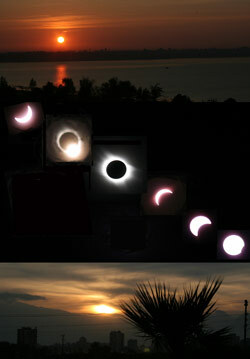 Pinhole cameras have been used to document the normal changes in the path of the sun through a season. The goal of the project is to create pinhole solargraphs all over the world and build a World Map of Solargraphs. It is not possible to do this alone. That is why the help of the volunteer ´can assistants´ around the world has been very important and they have placed my pinhole cameras at various latitudes. I want to thank each can assistant of this project for their collaboration with me. They think that solargraphs are amazing. My inspiration comes from Poland where I attended the International photography Workshop ”Profile 2002” in Skoki. The theme for the workshop was Solarigrafie. I was told that solargraphs were done for the first time in 2000-2001 by a team named Solaris. According to Slawomir Decyk (a photographer) the tracks of the Sun are different depending on where we are in the world. I wanted to see how different they are. I began photographing the Sun and testing different photographic papers and as I continued to test this method my interest increased, like a snowball rolling forward. I wanted to have solargraphs that had up to half a year´s exposure time from different latitudes. The idea of the map of solargraphs came to my mind. But it was not possible to do this alone. I needed volunteers – my first can assistants were my friends, relatives, collaques, students, people I met in conferences or just about anyone. The invitation to participate in this global art project for filling in the gaps of the world map of solargraphs has been open to everybody. Anyone could become a can assistant. You need not know anything about photographing. The only thing I asked you to do was to fasten a pinhole camera facing the Sun with a view in front of the pinhole. The tasks of the participants are, placing a pinhole camera on a sunny place facing the Sun, opening the pinhole when the exposure starts and closing the exposure covering the hole with a black tape. After this the pinhole can is sent back to the creator of the project with the date of the exposure period, place, country, name and the email of the participant. The results will be sent back by Tarja Trygg, Helsinki, Finland, to the given email address. Since 2005, general information about the global photographic project of solargraphy, how to become a ´Can Assistant´ and about pinhole cameras, can be read on the website of the project. I must thank Mr. Mario di Maggio from Glasgow who back in 2005 gave me some very good advice. He also asked me to send him the link of the website of the project so that he could forward it to friends at his Science Centre. This helped me make considerable progress. Fourteen new volunteers set my pinhole cameras up. That was a quantum jump to get new participants. It was a pleasure to hear from Professor John C. Brown about his idea of setting my pinhole camera for exposing a solar eclipse in Turkey, Antalaya, at a 45 degrees elevation. It is interesting to compare his splendid photographs with the solargraph of the day of the eclipse March 29, 2006 local time (04:00-18:00 GMT) the eclipse started at approx 12:42m was total at 13:55, and ended at approx 15:15 local time. I experienced another leap forward on June 20, 2006 when Gregg Kemp posted pinhole news about my project onto the webpage of Pinhole Visions. New can assitants were also professional pinholistics who have made pinhole photographs for many years. But even for them solargraphy was something new. I have enjoyed the discussions over the phenomena we can see in the images. It has been my pleasure to collaborate with astronomers, physicists, photographers, pinholistics, amateurs and people who had never before been involved in this kind of art project. Jiri Ducek, an astronomer at the Nicholas Copernicus Observatory and Planetarium in Brno has taken it upon himself to encourage young amateurs of the Czech astronomy society to expose solargraphs. The first version of the map of solargraphs has been published at the end of the year 2006. I have personally selected what I consider as being amongst the best solargraphs for this world map of solargraphs. In spring 2006 I experienced an unfortunate setback. I was not able to access my hard disk any more. The gaps on the map can be filled in later with new solargraphs. After the winter solstice I am looking forward to receiving pinhole cameras exposed over the last six months. The solargraphs can be viewed via specific searches according to continent, country, city, latitude, year or can assistant. This website has been created in association with the team of Virtual University at University of Art and Design, Helsinki. I sincerely thank every single participant in the project, without you this would never have happened.